Sukhumvit Road is not only the longest street in Thailand, but probably one of the longest in the world. There are dozens of smaller streets crossing with Sukhumvit Road, that are called “soi”s. The entire area is dotted with nightlife hotspots, fancy bars, restaurants, and shopping malls. The district is located between the Nana, downtown area, stretching all the way to the suburbia of Bangkok, and while it is very popular with tourists, it is for the most part a residential area. Shopping in the Sukhumvit Road takes place in the street. And while this may not be a tourist’s idea of quality shopping, in Sukhumvit Street Market takes last-minute shopping, eating, or even nightlife to the next level. The stalls seem to stretch endlessly along the busy street, and you can find almost everything along the way, ranging from replica handbags, watches, electronics, pirate DVDs, to clothes and souvenirs for your loved ones. 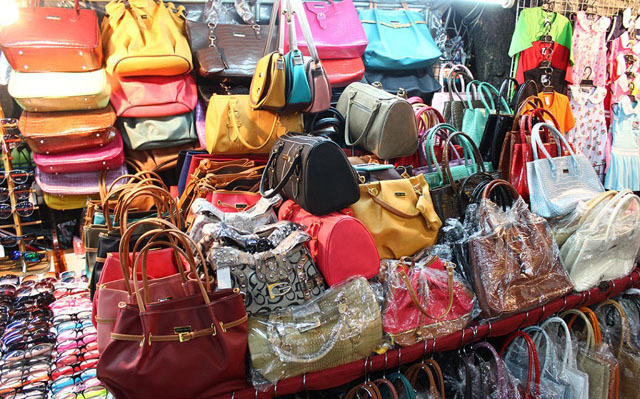 And while the leather handbags and watches are clearly not authentic, they are well made so if you are looking for cheap quality fakes, Sukhumvit Street Market is a perfect place to purchase some goods. High-end architecture in the Sukhumvit Road and its surroundings gives the district a metropolitan feel to it, yet shopping here is like in a typical flea market, cheap and affordable. While some retailers may set the initial prices surprisingly high, most times the fee can be halved, so friendly bantering and bargaining is crucial. You will also have to know how to say “No!”, since some sellers can be really aggressive, but don’t forget to try and talk your way into the lower price if you are really interested in buying something. Appearance of the market itself may seem off-putting for some, since the action takes place on the sidewalks and the entire road is very crowded, this is what the authentic Bangkok shopping experience looks like, and it is certainly a worthy one. The odd-numbered side of the street is the more crowded one, but logically most of the stalls are located here. So if you want to avoid the crowd, you should walk the even-numbered side, where most of the restaurants and bars are located. The sellers set their stalls up around 5 PM and by 6 PM everyone is ready for a hectic night ahead. 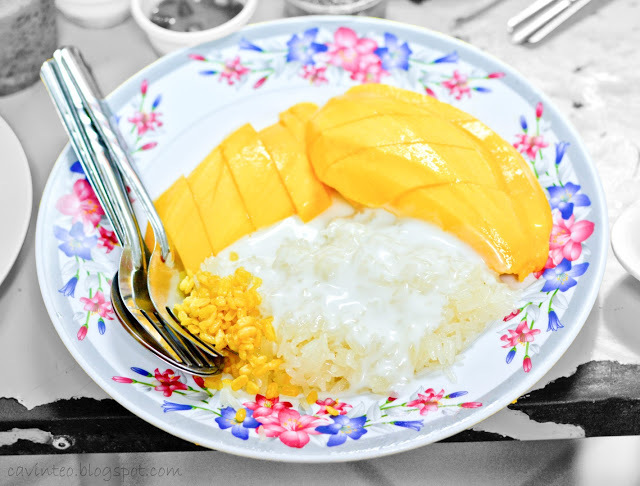 The shops are open until midnight, and what makes the Sukhumvit Street Market memorable besides the vast and diverse offer of affordable goods, is definitely the fresh see food, prepared in authentic Thai manner. The setting is usually very simple, metal tables and plastic chairs, but the seafood is super fresh and cooked to perfection, the people seem very friendly, and the meals are extremely cheap as well. The Sukhumvit Street also has many street bars where you can refresh and relax, or just chill and digest your food while having a cold one. 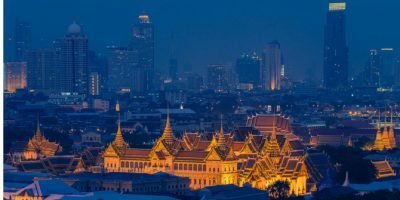 The more adventurous should have in mind that located nearby Sukhumvit Street Market are also the two most sinful districts of Bangkok, red light districts Nana Plaza and Soi Cowboy. Sukhumvit Street Market is by no means the best place to shop, but it definitely does offer an authentic Bangkok shopping experience. People are very friendly and the more you look the more interesting items you may find. Handcrafts are also a very important feature of the market, and are something that may engrave it in your mind if all the other sensations failed to do that already. 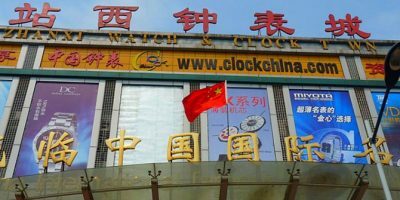 It is a perfect place to do small, last minute shopping for an affordable price, a handcraft leather handbag, quality fake watch, or interesting souvenirs to take home with you. Visiting the Sukhimvit Road Street Market is like experiencing the spirit of Bangkok in a nutshell. The one problem however, threatens to destroy what Sukhumvit Road has been for a long time. Recently the government voted on an act to eradicate the street-sales, hence making the entire concept of the Sukhumvit Street Market illegal. Police are often closing down stalls and driving the salesmen away. We can just but hope that the Bangkok officials recognize the importance of Sukhumvit Street Market for the sake of their own culture and try to find a compromise solution.